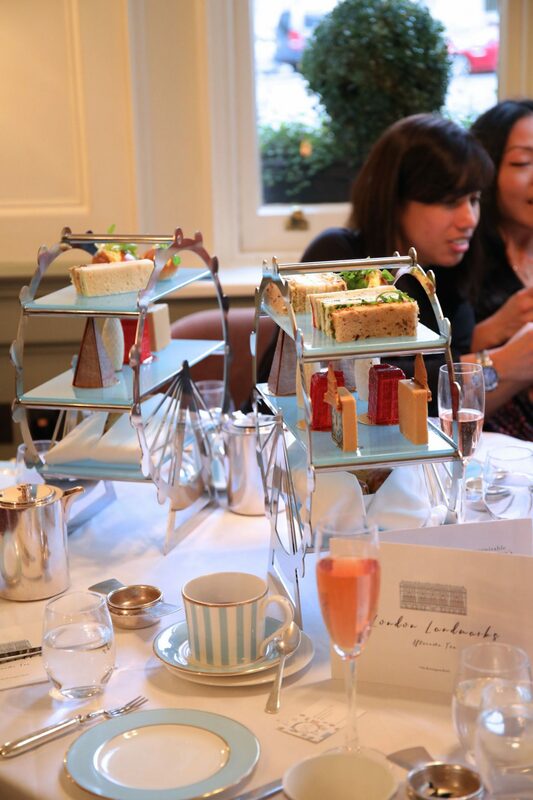 My blog archives will state the truth to my testament that I’m a bit of an afternoon tea addict. 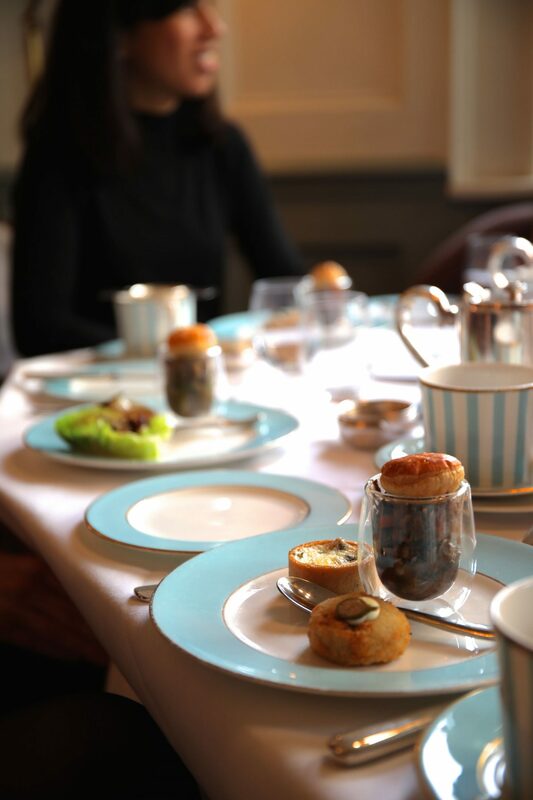 There is nothing I appreciate more than a perfectly cut finger sandwich or a scone (rhymes with gone FYI) and one of the best places for afternoon tea in London is The Kensington Hotel. 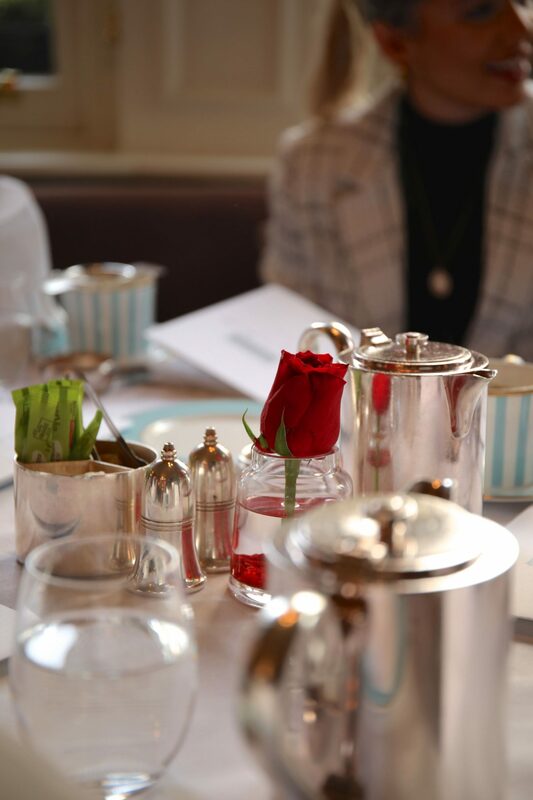 Every few months they introduce another incredible sell-out success afternoon tea and this year is no exception. 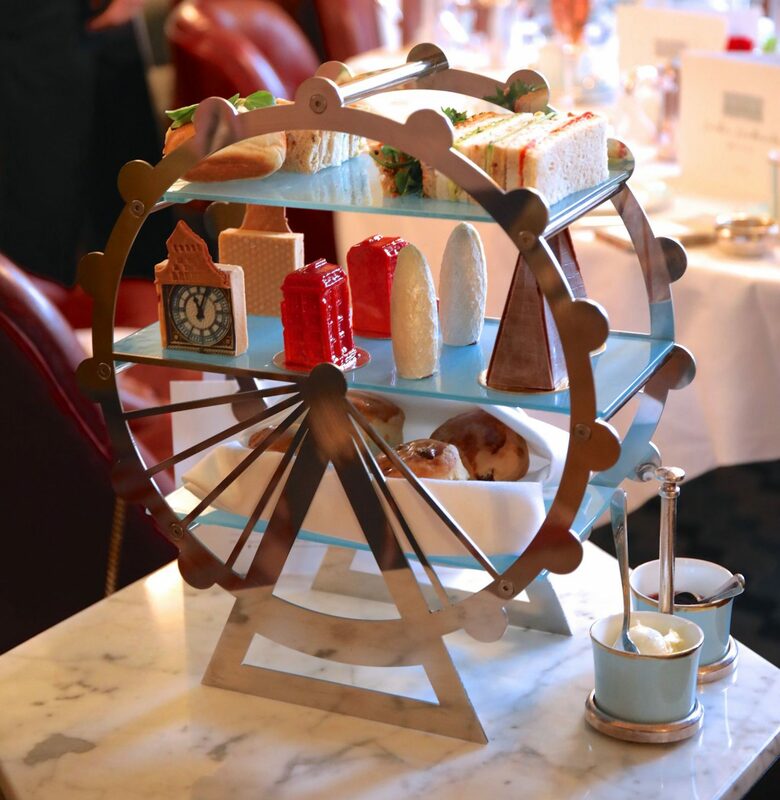 I previously wrote about the ‘Tale As Old As Time’ Afternoon Tea which has now sadly finished, but they’ve moved on to bigger (and in my opinion) better things. 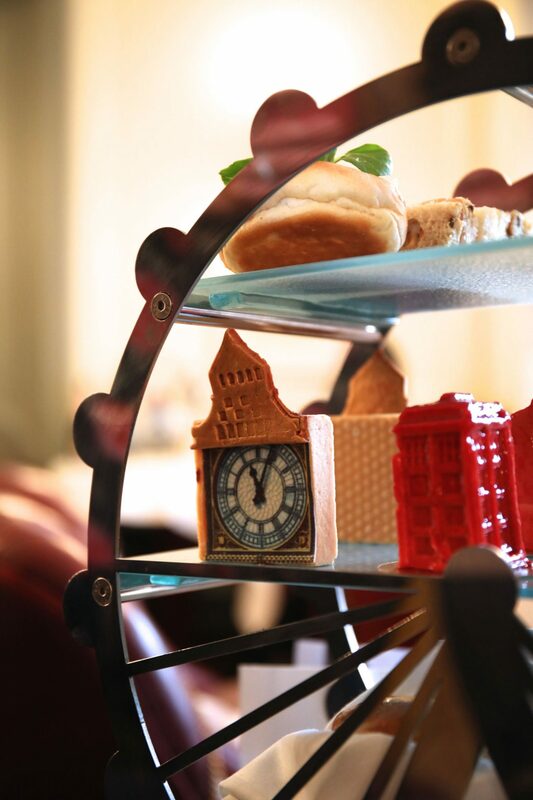 The London Landmarks Afternoon Tea takes inspiration from London’s historic landmarks, culinary traditions and architectural structures. 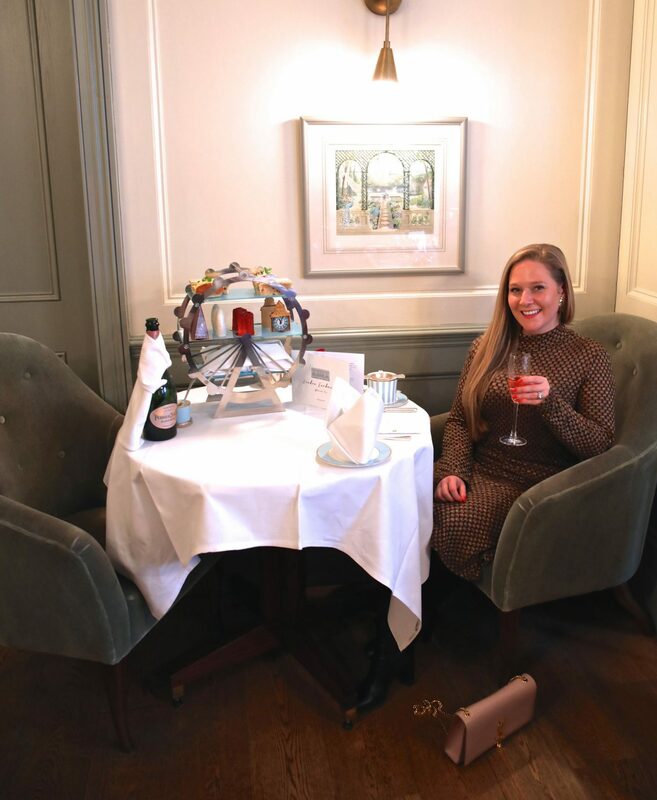 We started with a glass of bubbles provided by Perrier Jouet (one of my favourite champagne houses). Followed by the appetisers. 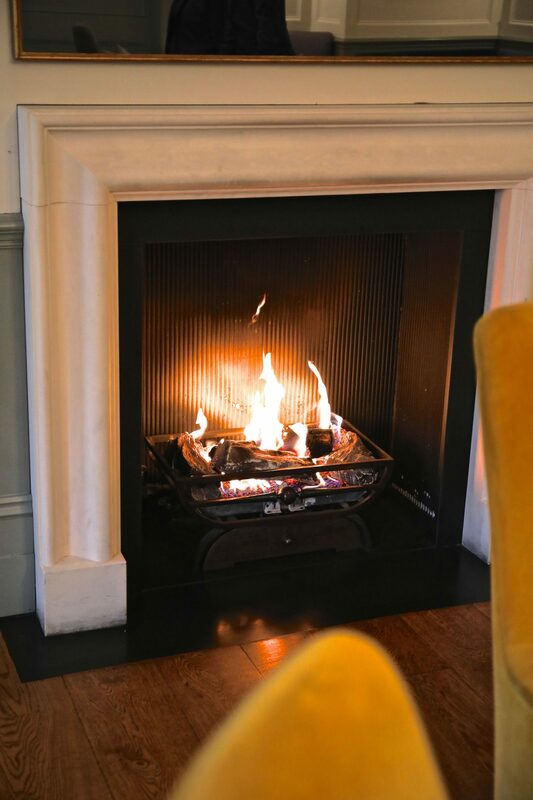 This is something I think The Townhouse does particularly well. 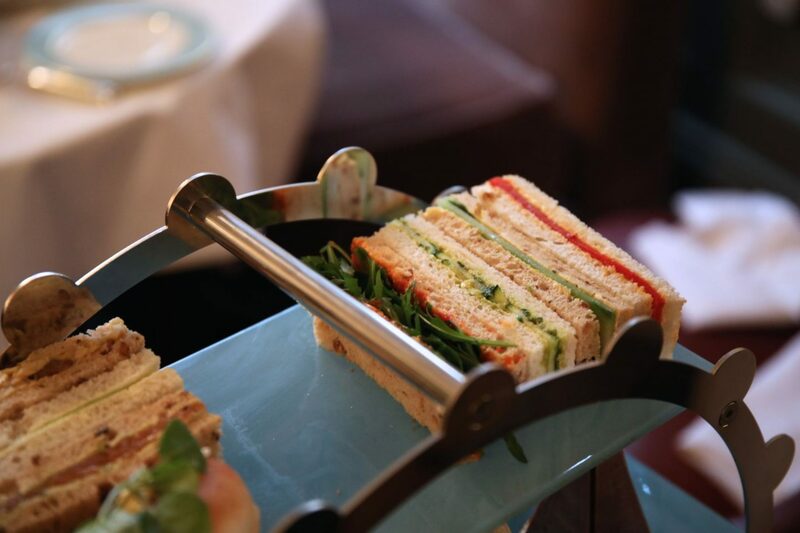 As most afternoon tea’s usually just offer you the sandwiches to start, followed by the scones and cakes. 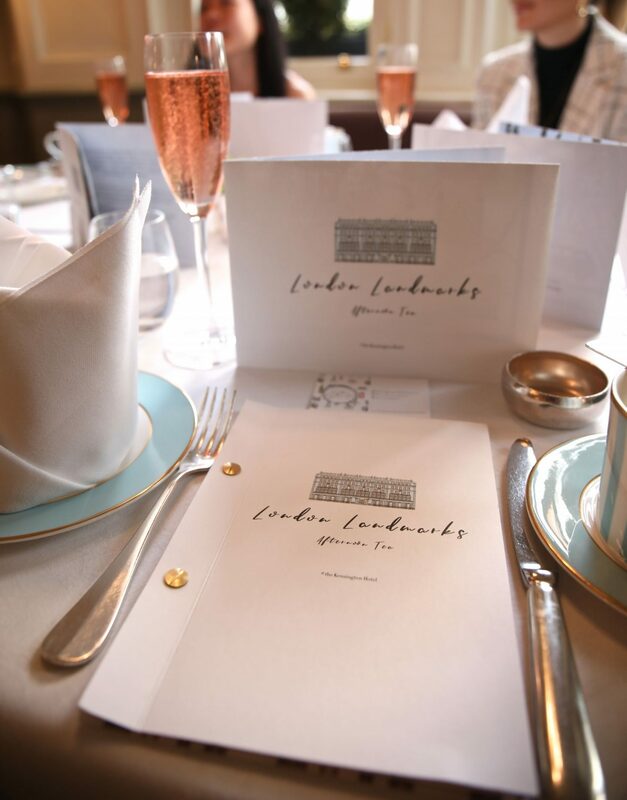 I personally feel it makes the experience feel a little more like a meal when there is a hot first course. This particular first course was also faultless. 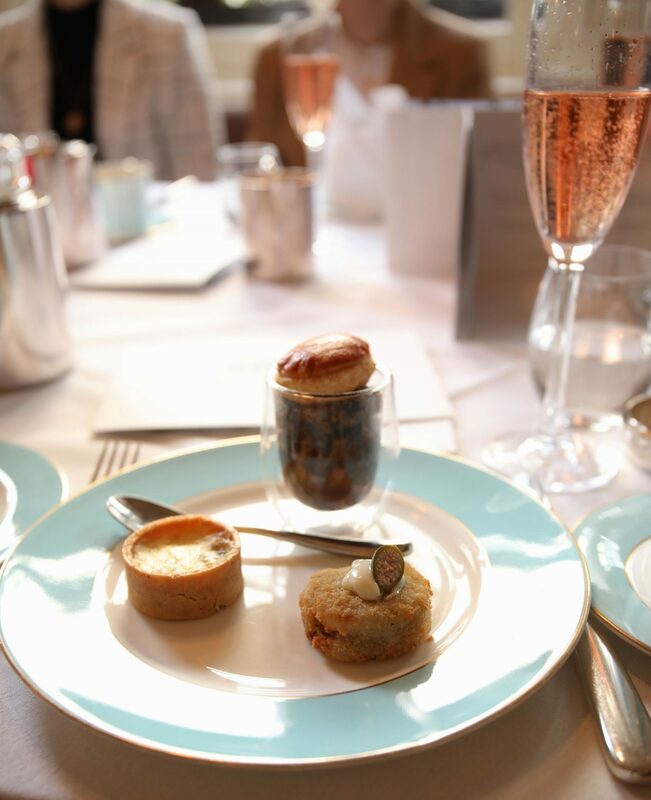 Crab cake with tartar sauce and a caper – to represent the classic British ‘fish & chips’. Steak and London Ale Pie – a delicious pot of juicy meat topped with the crispest puff pastry and lashings of gravy. Colston Bassett Stilton & broccoli quiche – I’m usually not a big fan of stilton, but this was delicious, with a more subtle stilton flavour. 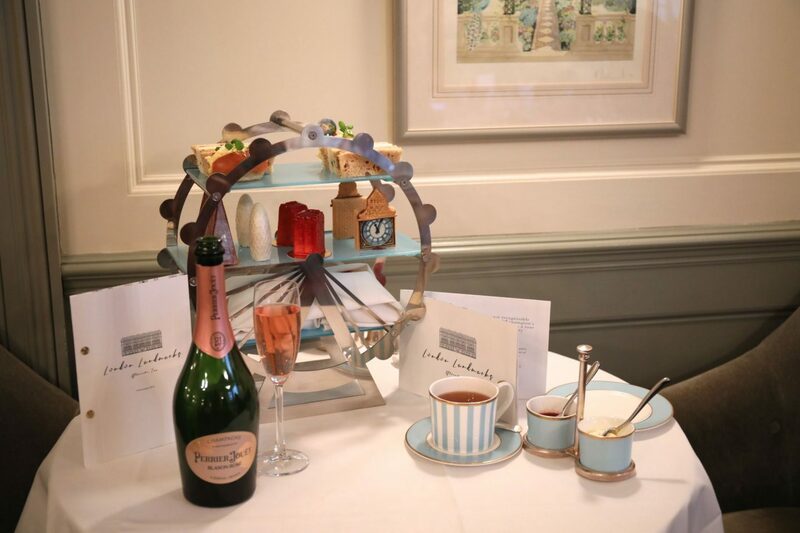 It was time for tea next, to accompany the beautifully presented stand. 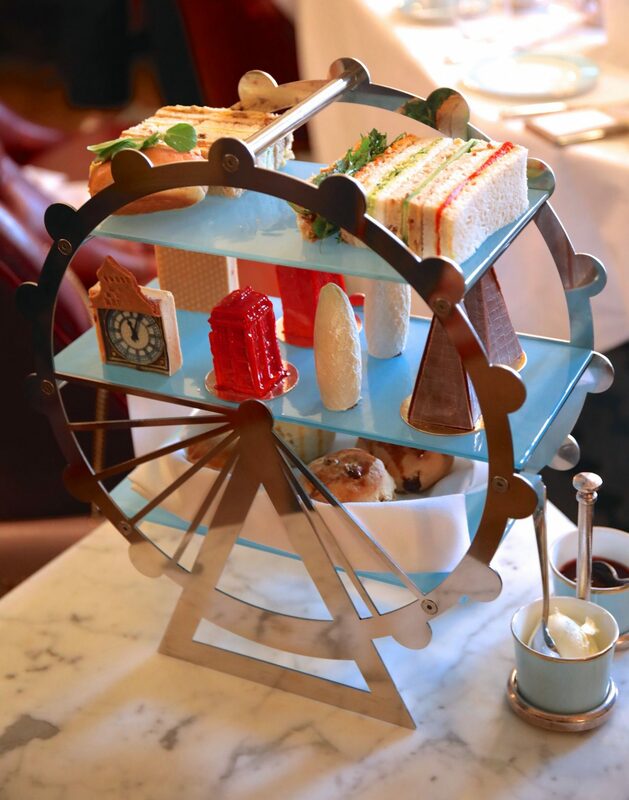 Sandwiches, scones and cakes are layered on a sculpture frame of The London Eye. Glass shelves hold up the classic sandwiches. Campbells & Company smoked salmon and lovage pesto with cream cheese on brown bread. Coronation chicken on brown bread. Egg & cress bridge roll (so named for London Bridge) Marinated cucumber with crème fraîche and pepper on white loaf. The Coronation had to be my favourite. I mean, curry in a sandwich… what’s not to love! I’ve always been impressed by the scones at The Kensington. A perfect rise, with an easy break in the middle ready for that clotted cream THEN jam. There really is no other way. I’m also quite partial to the fruit scones, although I know raisins aren’t for everyone. Moving on to the showstoppers, the cakes really are genius. A dark chocolate ganache covered with white chocolate and a silver dusting serves as an excellent Gherkin. 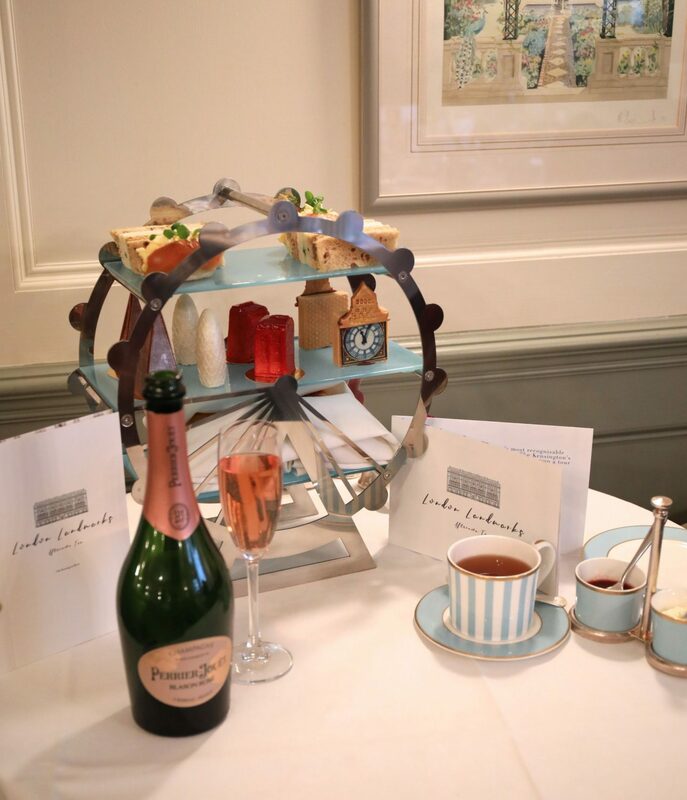 The classic Red Telephone Box is reinvented in rhubarb mousse. Big Ben transformed into a Lemon Curd Tart and The Shard is made up of chocolate ‘shards’ surrounding a mini carrot cake with icing. I do have to admit, I was a little disappointed with the carrot cake (having been most excited to try it in particular – carrot cake is my favourite) but the presentation was beautiful. 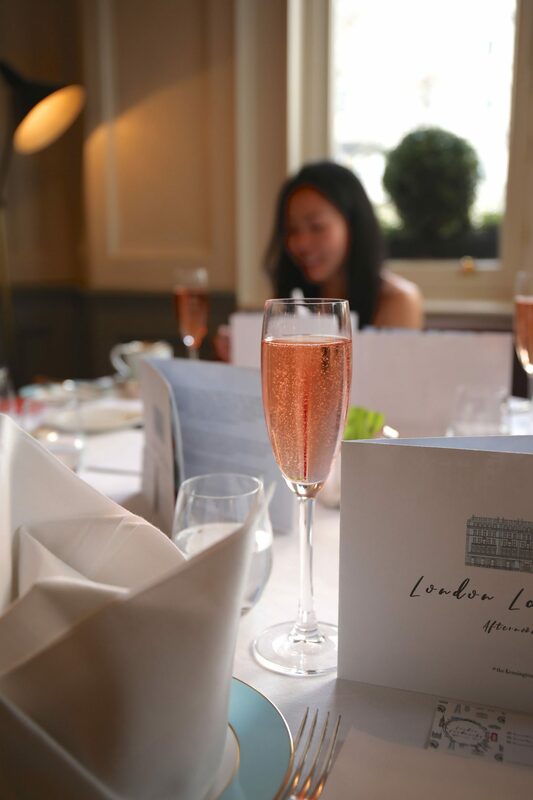 It was such a lovely group catch up, topped with delicious bubbles and amazing food. 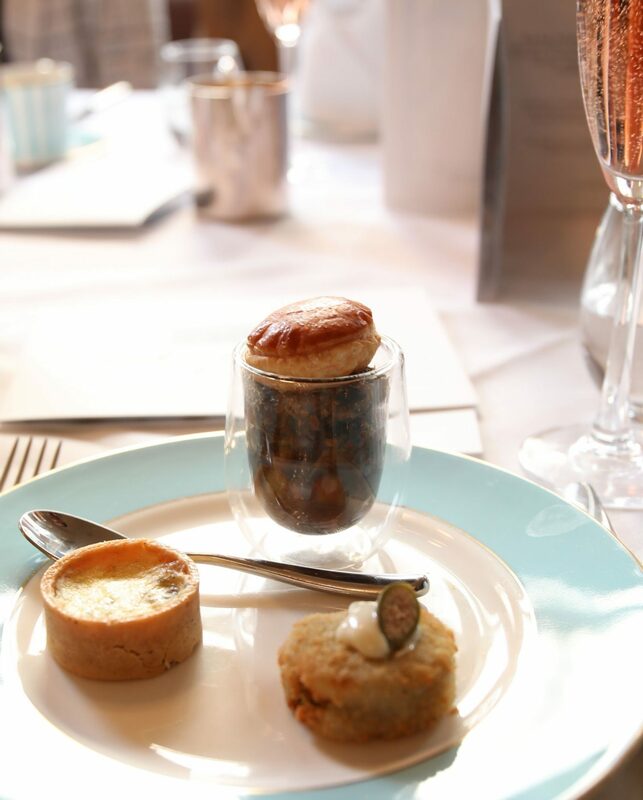 If you’re coming to London and are only going to try one afternoon tea while you’re here. I would highly recommend this one, for the fact that you get an English culinary lesson, while enjoying a quintessential British past time. 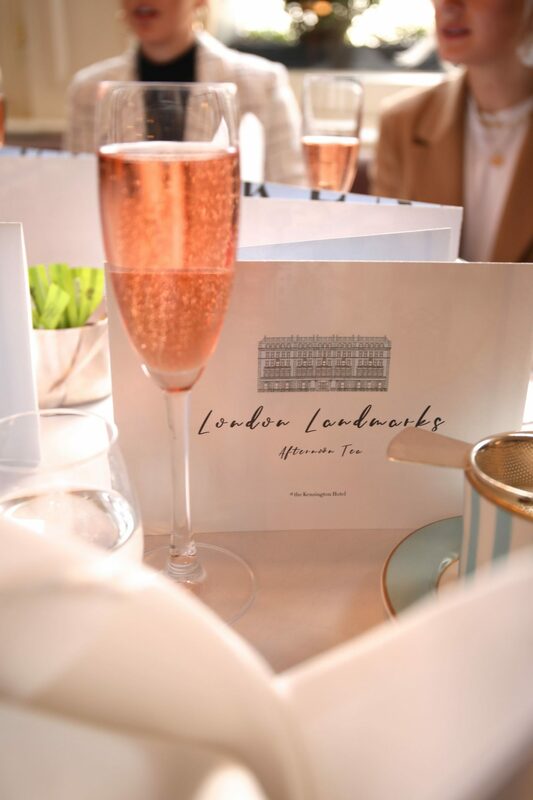 The London Landmarks Afternoon Tea is available to book now here and it costs £42 per person for the afternoon tea or £54.50 with a glass of champagne. 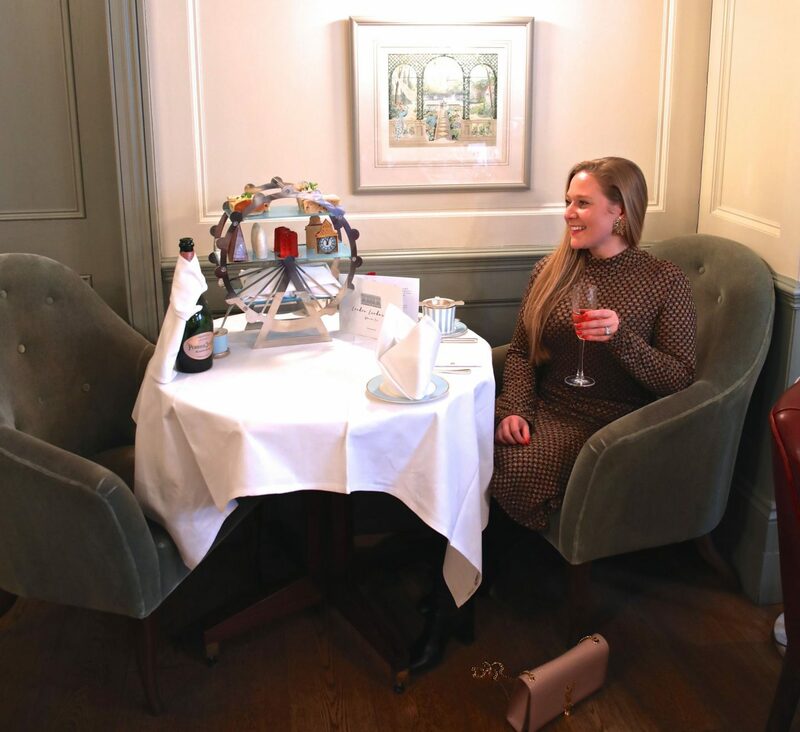 This afternoon tea experience was gifted to me, but I was not asked or expected to write about it.